Collaborative navigation enables multi-sensory robust navigation, including seamless transition between different types of environments (see e.g. [1, 3]). In this concept several users and platforms (including pedestrians, vehicles and UAV’s) are equipped with different type of sensors and they navigate together in different layers above ground . So far the scientific community currently is involved in research activities leaving the underground out of consideration. Both authors expand collaborative navigation on to the underground. They have developed emerging strategies for navigation and guidance of emergency crews and first responders in such settings. Useable underground structures include metro and road tunnels, subways, large sewer canals, long-distance heating tunnels, etc. In this article the concept and the use of the underground layer is introduced. RFID is identified to be the major absolute location technology. The operation principle of collaborative navigation is that a group of multiple users in the area may be navigating together using useful sensor observations combined together. Apart from GNSS, sensors, such as MEMS-based INS, magnetometer, odometer, digital compass, barometric pressure sensor, or active/passive imaging sensors may be employed, augmented by inter-nodal ranging measurements in order to form a joint position solution . Hence, collaborative positioning can improve the individual navigation outcome in terms of both accuracy and coverage, and may reduce the system’s design cost, as equipping all users or sensor platforms with high performance multi-sensor positioning systems is not very cost effective. Figure 1 illustrates the concept of collaborative navigation in a dynamic network environment. Key components of a collaborative network include the inter-nodal ranging sub-system (each user can be considered as a node of a dynamic network), the optimization of the dynamic network configuration, the time synchronization, the optimum distributed GNSS aperture size for a given number of nodes, the communication sub-system, and the selection of master nodes . Subnetworks of users navigating jointly can be created ad hoc, as indicated by the circles in Figure 1. Some users (nodes) may be also part of different sub-networks as shown for the fire-fighters in this emergency scenario. In a larger network, the selection of a sub-network of nodes is an important issue and information exchange among them must be assured. Conceptually, the sub-networks can consist of nodes of equal hierarchy or may contain a master node that will normally have a better set of sensors and will be collecting measurements from all client nodes to perform the collaborative navigation solution . In an emergency situation the commander of the first responder crew and the fire-fighting vehicle can serve as master nodes. They are equipped with better sensors and should have access to sufficient GNSS signals or other absolute positioning technology. The suitable positioning and tracking techniques include absolute as well as relative positioning methods. In the first case, the location of the user is directly obtained in an absolute reference coordinate frame, whereas in the second case, relative measurements in relation to a start location are continuously carried out and then the trajectory of the user is determined using dead reckoning (DR). Hence, it is possible to bridge gaps between different user’s locations obtained by absolute positioning technologies. For DR an emergency crew member has to be equipped at least with a digital compass and step sensor based on accelerometers. Then the direction of movement and distance travelled can be obtained where DR yields the trajectory of the user. Due to large error accumulation of low-cost MEMS-based accelerometers which cause large drift rates, a frequent update using Zero Velocity Updates (ZUPT’s) is required. In this case, the velocity change rate is set to zero and recalibrates the acceleration output when the foot of the user is touching the ground where it is stationary for a very short period of time. In addition, map matching of the DR trajectory can be performed if a detailed 3D GIS exists. Large smart cities are expected to have such a GIS for their underground structure network. As an alternative, sensor drifts can be reduced by an update with an absolute location technology. As described in the following, RFID is a suitable technology as it may be deployed permanent or temporally in the underground network. The RFID technique was originally designed as a contactless and low energy consumption device for automatic identification of objects. The application of this technique has been predominantly in logistic industries for transferring object identification to monitoring sensors. The major applications also refl ect the extension of the use of RFID from a standalone identification system to tracking and positioning. The advantages of using RFID in combined indoor/outdoor personal positioning include the simplicity of the system, low-cost of the device, high portability, ease of maintenance, a long effective range, and the use of RF signals which have the capability of penetrating obstacles. A passive RFID tag has practical reading ranges of about a few mm up to several meters depending on the radio frequency used whereas long-range active tags can have reading ranges up to several hundreds of meters. In general, two specific positioning strategies are possible. The first scenario is that RFID readers are installed at specific locations or waypoints of interest. The person or object to be positioned is then equipped with an RFID tag and can be located in a certain section between two waypoints. The second scenario is a reverse approach. In this case, tags are mounted at certain known locations of interest (i.e., active landmarks) and the mobile user is equipped with a reader. The tag’s ID and additional information (e.g. the 3-D coordinates of the tag) can be retrieved in the given read range if the user passes by. Note that the second scenario usually is less expensive than the first as a high number of low-cost tags may be installed at known locations instead of more expensive readers. The location of the user can then be determined using different methods such as cell-based or lateration and fingerprinting. The use of RFID for location determination is described in detail in . In the following, only the most suitable cellular positioning approach which makes use of the second positioning scenario is discussed. The cell-based positioning method uses the level of Received Signal Strength (RSS) from tags to determine the mobile user’s appearance in the RFID tags’ coverage areas (i.e., cells). The benefit is its simplicity of use, as active landmarks either provide approximate positions in large areas or accurate positions over an extremely small range (e.g. within a few meters). However, one of the limitations in the algorithm is the relationship between the cell size and positioning accuracy. By setting a threshold for the RSS the size of the cell can be set in range tailored to the specific application. The probabilistic cellular positioning method uses an adjustable ring-shaped cell. The probability distribution shown in Figure 2 is like a crater with its center located at the position where the RFID tag is detected. Its peak is a ring with the tag in the center and a radius equal to the estimated distance determined according to the RSSbased ranging model. The probability of the mobile user’s position can then be estimated by joint probabilities of the RFID-based and external sensor based probabilities from sensors, such as INS. The advantage of using the probabilistic approach is that it does not identify the mobile user’s position as being at the center of the cell. However, it estimates the probability of the distance between the user and the center based on RSS measurements and external sensor observations. Such an improvement provides an adjustable cell in real-time positioning [4, 5]. In the developed emerging concept parts of the underground network can be fitted with passive or active RFID tags, for instance, at landmarks or important crossings of the underground infrastructure network, for recognizing and leading the correct way. Also temporally deployed tags at certain waypoints can help to guide emergency crews. For instance, the first responder can place tags at active landmarks which he has passed on the way to the site. Thus, these tags can lead the way for an efficient rescue out of the effected emergency area. In such a way RFID serves as an underground guidance system. An emergency crew member may also wear a head-mounted display as it is used in Augmented Reality (AR) applications, showing him the current location as well as the marked areas with RFID tags in the underground GIS. In addition, the current location of the crew members can be transferred to the operations centre where their position is displayed in respective to the underground network system. Then commands can be given to the individual emergency crew member. Hence, it can be said that the use of RFID for localization and serving as guidance system is very promising in emergency situations, when going underground is mandatory since roads above are impassable. Due to the integration of RFID positioning with other technologies a collaborative navigation solution for all involved users is achieved. For the further development of the RFID concepts for emergency situations international collaboration is proposed and motivated by the authors of this article. They believe that underground structures will play an important role in emergency situations for guidance and rescue. New ideas and suggestions are welcome and should be addressed to guenther.retscher@tuwien.ac.at. 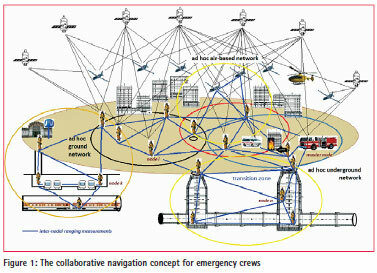 The paper entitled ‘The fourth layer in collaborative navigation – going underground’ published in the proceedings of the XXV FIG Congress in Kuala Lumpur, Malaysia, in June 16-21, 2014, presented for the first time the concept of using underground structures in emergency situations. Grejner-Brzezinska, D.A., Toth, C., Li, L., Park, J., Wang, X., Sun, H., Gupta, I.J., Huggins, K., Zheng, Y. F., ’Positioning in GPS-challenged Environments: Dynamic Sensor Network with Distributed GPS Aperture and Internodal Ranging Signals’, ION GNSS Conference, Savannah, Georgia, USA, September 22-25, 2009, pp. 111-123. Grejner-Brzezinska, D.A., Toth, C., ’GPS-challengend Environments – Can Collaborative Navigation Help?’, 8th International Symposium on Mobile Mapping Technology, May 1-3, 2013, Tainan, Taiwan, 7 pgs. Kealy, A., Retscher, G., Alam, N., Hasnur-Rabiain, A., Toth, C., Grejner-Brzezinska, D.A., Moore, T., Hill, C., Gikas, V., Hide, C., Danezis, C., Bonenberg, L., Roberts, G.W., ’Collaborative Navigation with Ground Vehicles and Personal Navigators’, IEEE Xplore, 2012 International Conference on Indoor Positioning and Indoor Navigation (IPIN), Sydney, Australia, November 13-15, 2012, 8 pgs. 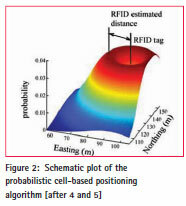 Retscher, G., Zhu, M., Zhang, K., ’RFID Positioning’, Chapter 4 in: Chen, R. (Ed. ): Ubiquitous Positioning and Mobile Location- Based Services in Smart Phones. 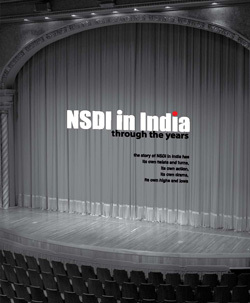 IGI Global, Hershey PA, USA, ISBN: 978-1-4666- 1827-5, 2012, pp. 69-95. Zhu, M., ’Positioning Algorithms for RFID-based Multi-sensor Indoor/Outdoor Positioning Techniques’, PhD thesis, RMIT University, Melbourne, Australia, 2011, 183 pgs.